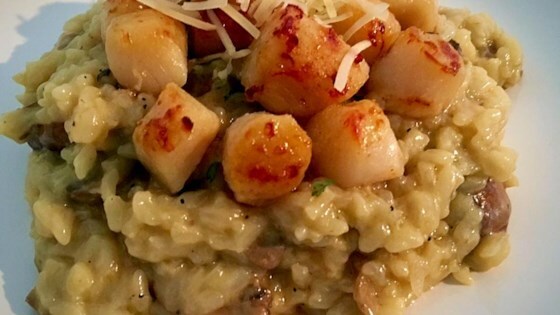 "My husband thinks these scallops are better than any we have found in any restaurant." Rinse scallop and place in a shallow baking pan. Sprinkle with garlic salt, melted butter or margarine and lemon juice. Broil 6 to 8 minutes or until scallops start to turn golden. Remove from oven and serve with extra melted butter or margarine on the side for dipping. These scallops are excellent! Also very quick and easy. I go a little lighter on the garlic salt and add a tiny bit of parmesan cheese on top... helps them brown. Thanks for a great recipe!